I’ve been in NYC for the past month and can. we. talk. about. the. food. I’ve challenged myself to try a different restaurant every day for the month of June, and have really stumbled, ok Yelped, some gems. 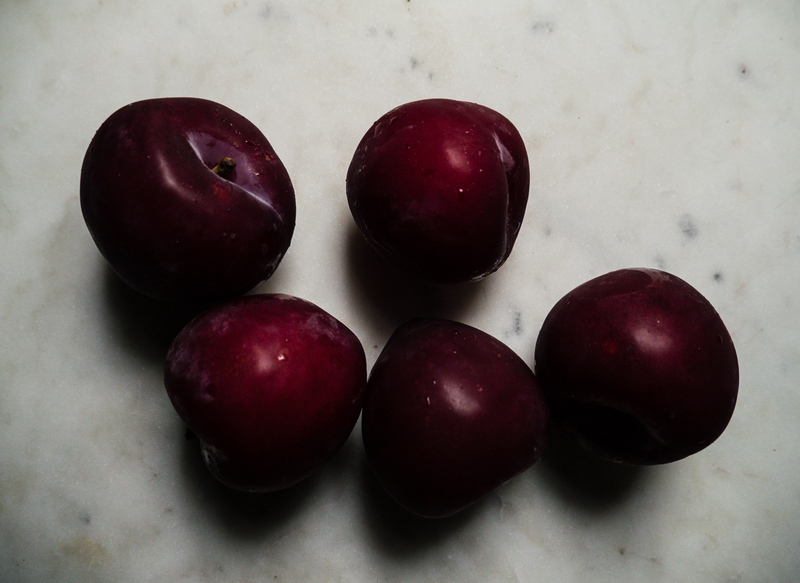 That afternoon I walked to my fav grocery store, Health and Harmony, and found beautiful mahogany red plums. 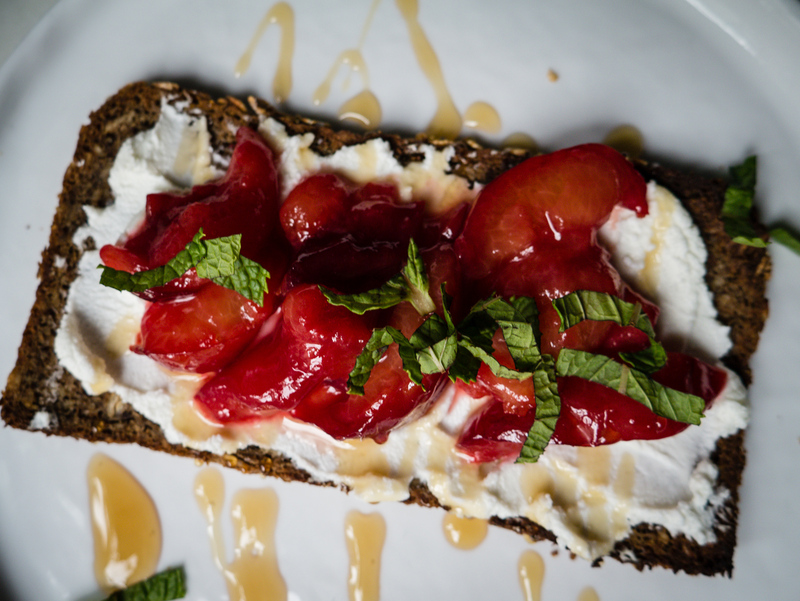 Sweet plums and goat cheese are a match made in heaven, and are elevated even more when paired with crisp toast for texture, a drizzle of amber honey, and fresh mint. 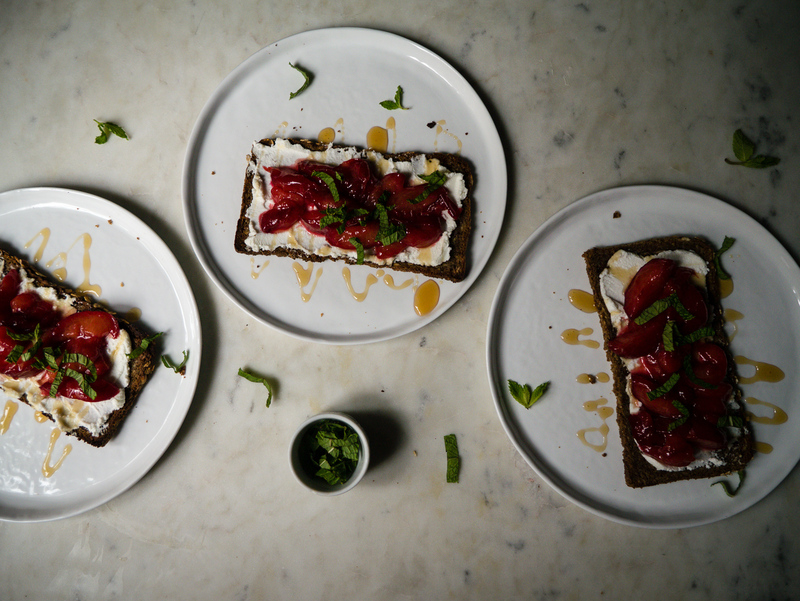 I successfully made these honey plum goat cheese toasts in my tiny New York kitchen, so I have full faith that you can make this regardless of what your cooking situation looks like. 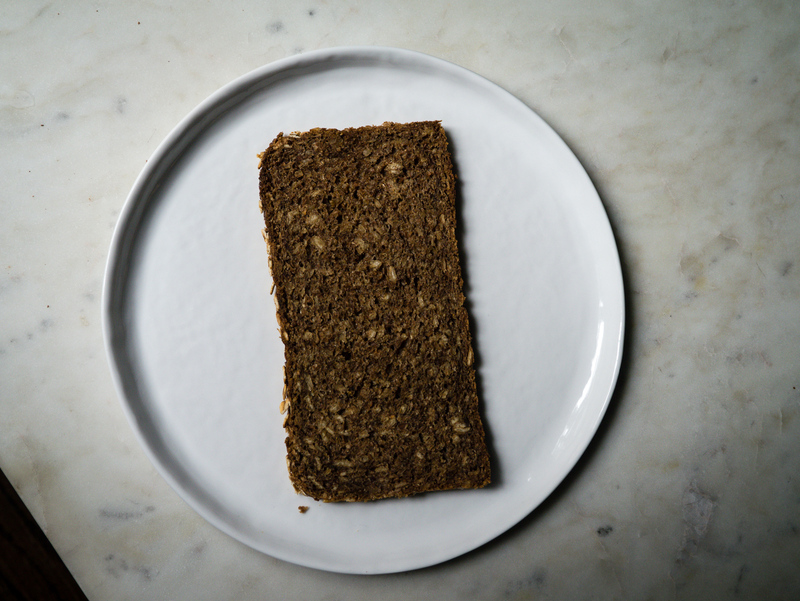 All you need is a pan and some heat element to toast bread. 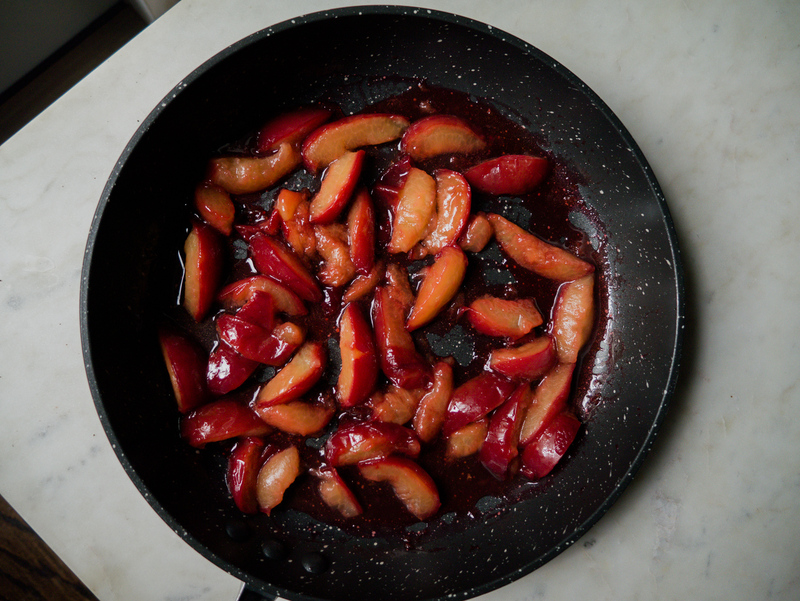 Chop your plums into slices, and toss in a pan with a good squeeze of lemon juice and honey. 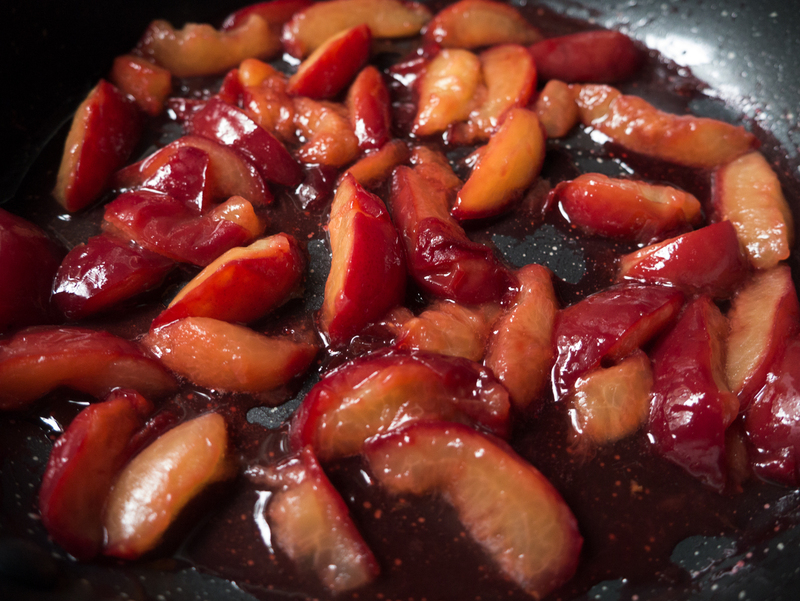 Cover, and simmer away until juices are bubbly, and fruit is tender. 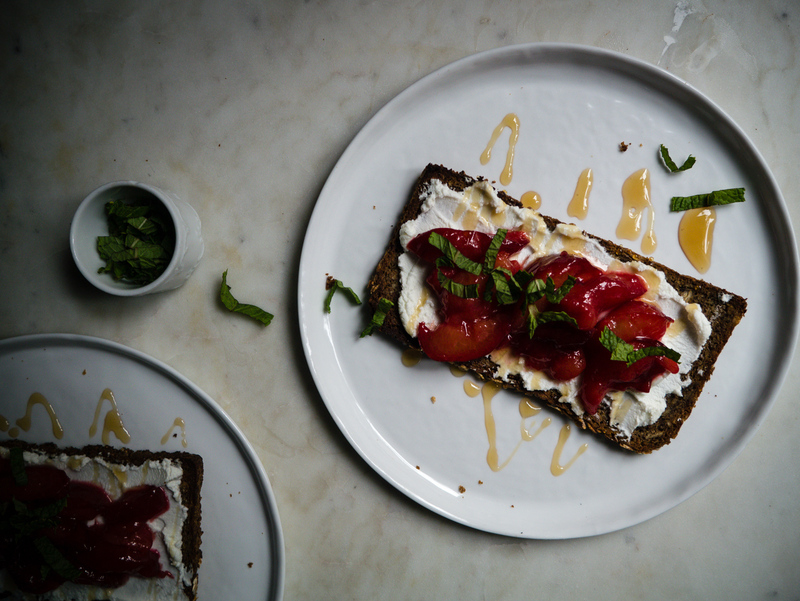 While the fruit is cooking, toast your bread, chop the mint, and spread some creamy goat cheese on the toast. 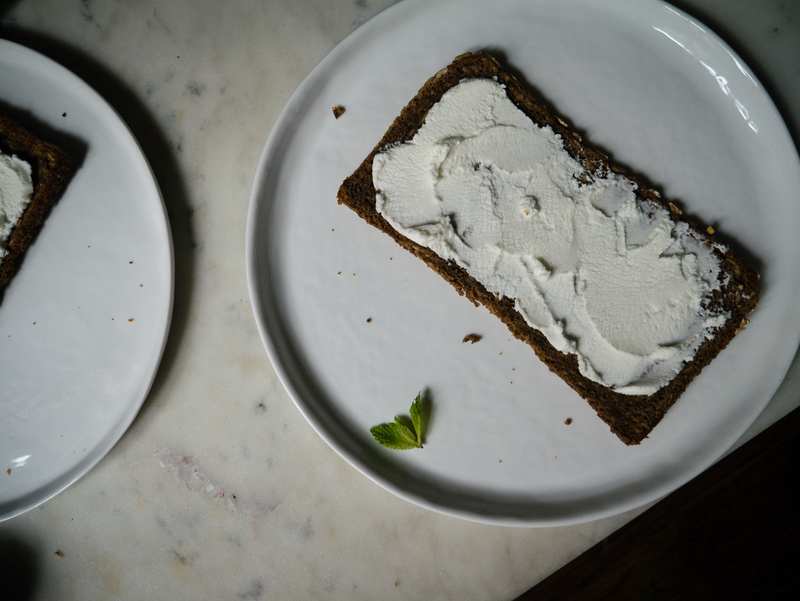 I got this Amaltheia goat cheese from an organic grocery, and if you ever see the brand promise me you’ll try it. 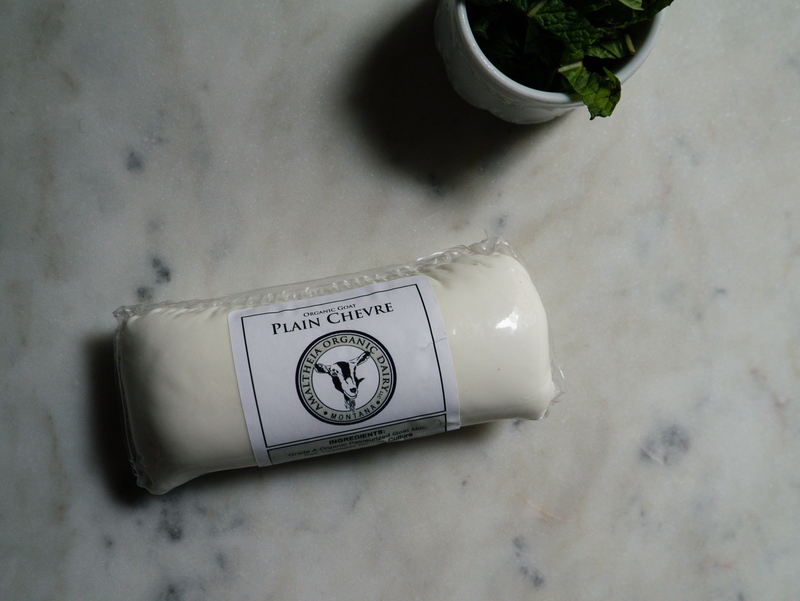 It was the most creamy goat cheese I’ve ever had, and comes from a small family owned farm in Montana! 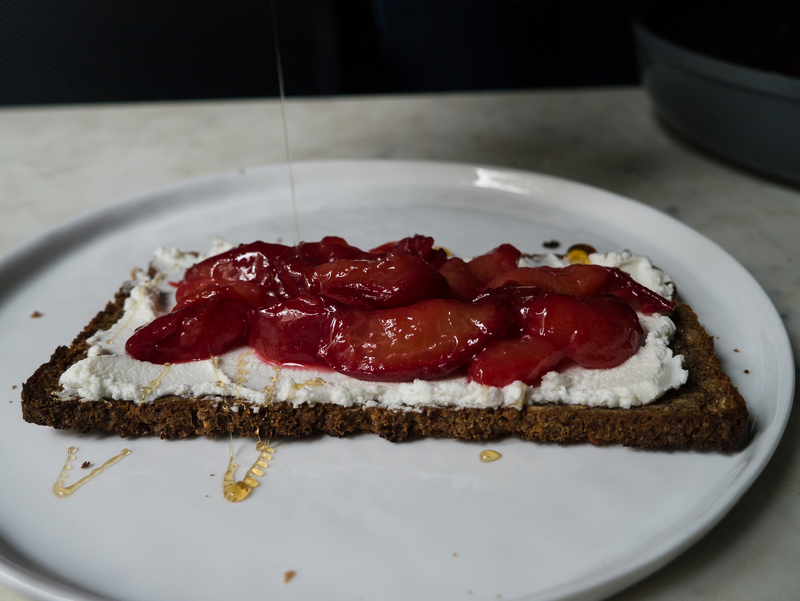 Top the goat cheese toasts with a spoonful of the honey plums, and drizzle with a little more honey on top. 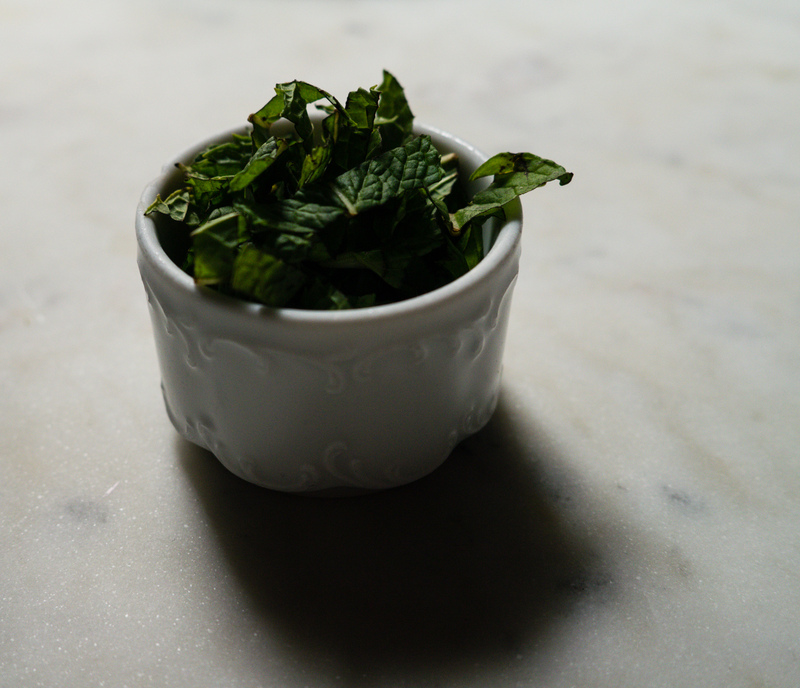 Last but not least, sprinkle with fresh mint! 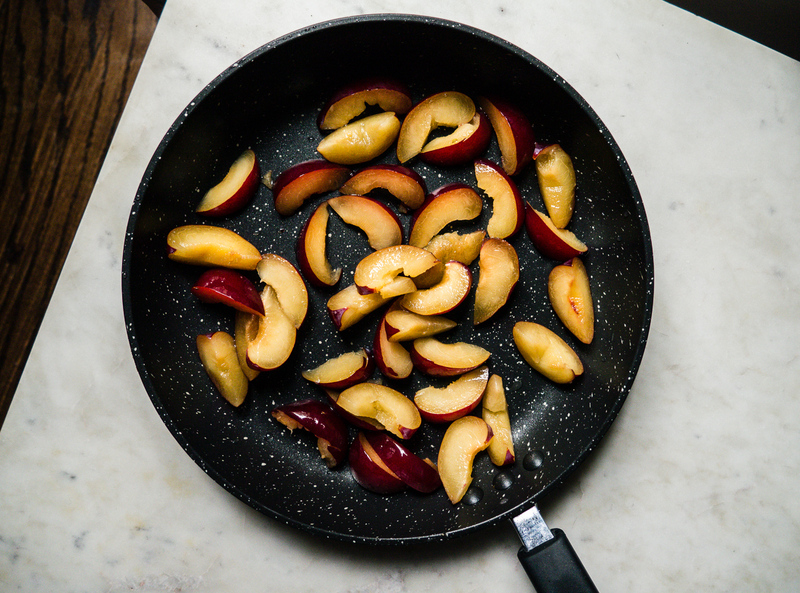 Combine plums, lemon juice, and honey into a saucepan over medium heat. 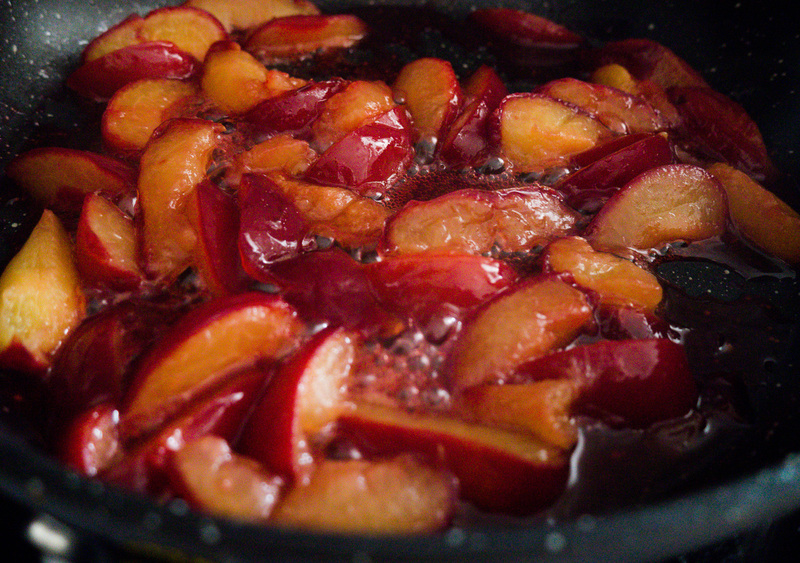 Cover, and simmer for 5-7 minutes until fruit is tender but not mushy. 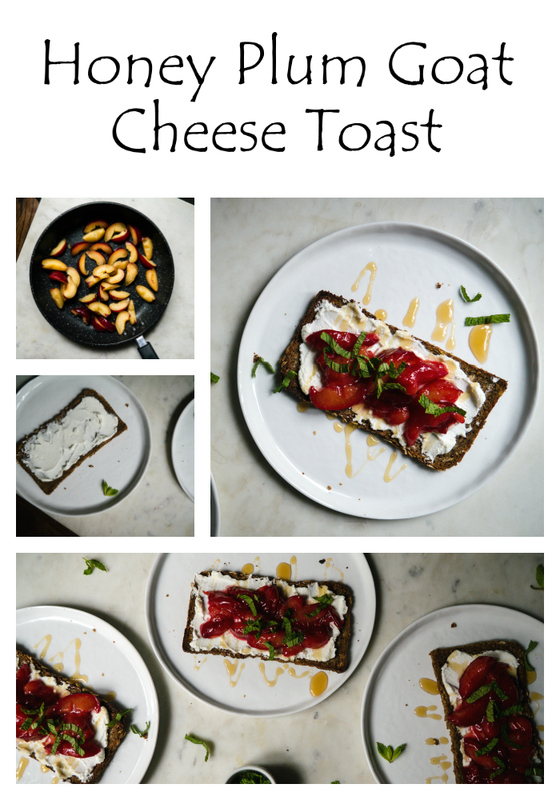 While fruit is cooking, toast bread until golden brown and crisp. 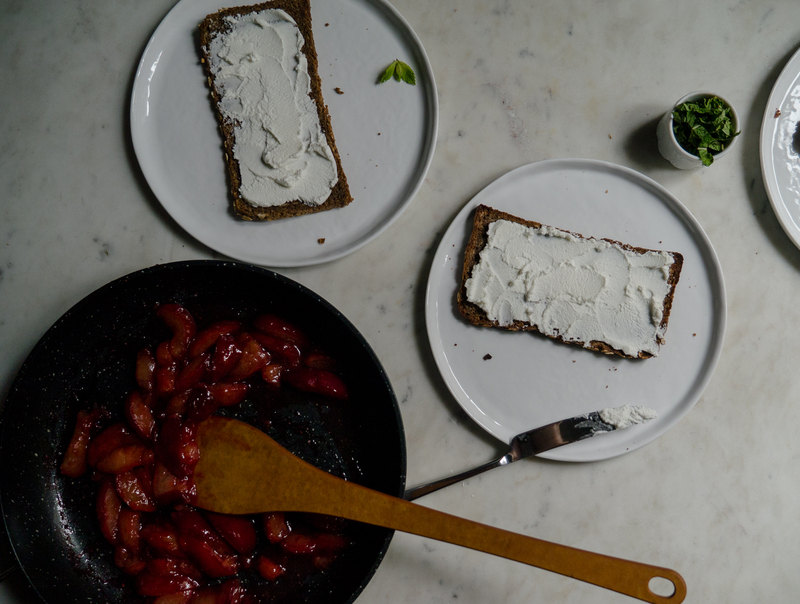 Spread 1/4 of the package of goat cheese on each toast. 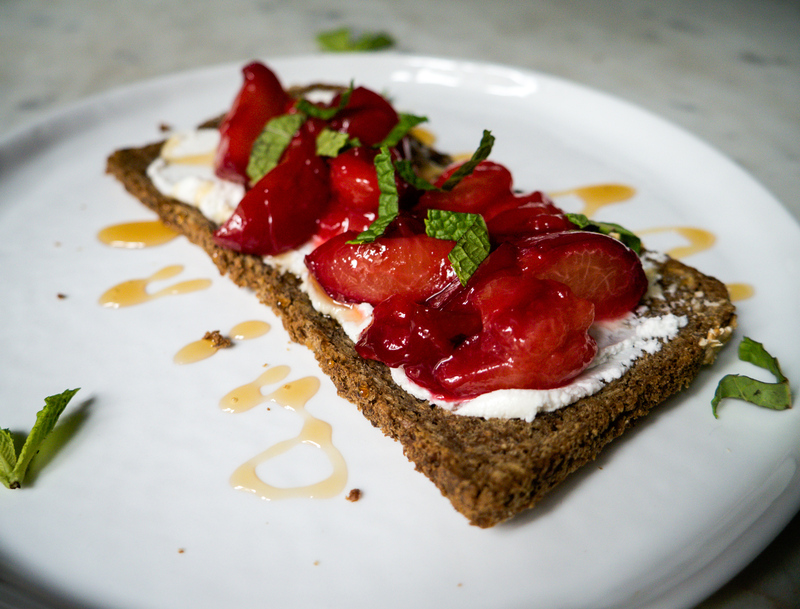 When the fruit is bubbly, stained pink, and tender, uncover and remove from heat. Taste to see if fruit needs more lemon juice or honey. 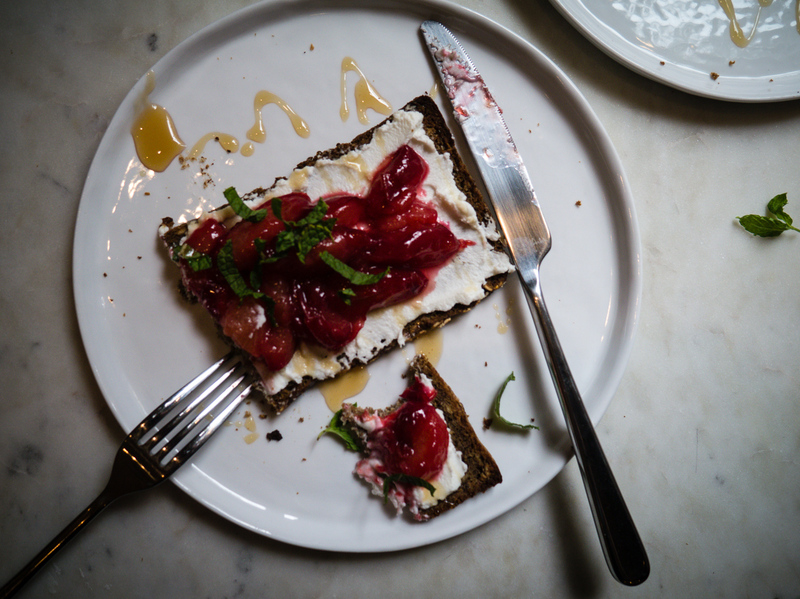 Place a spoonful of cooled fruit compote on each goat cheese toast. 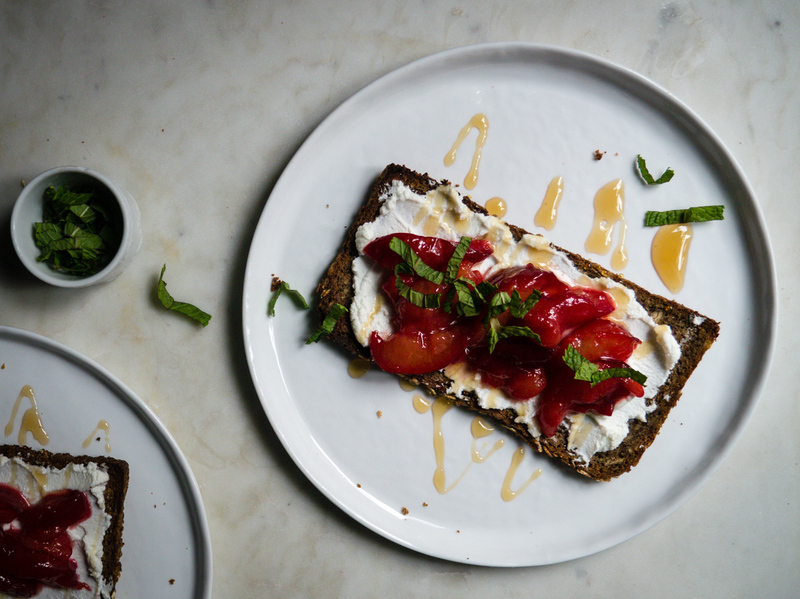 Top with an additional drizzle of honey and fresh mint. Enjoy! It seems only room mates get to try these wonderful creations, have you thought about online purchases and mailing to your avid followers ?